Canadian dead were buried in many small military plots behind the lines. 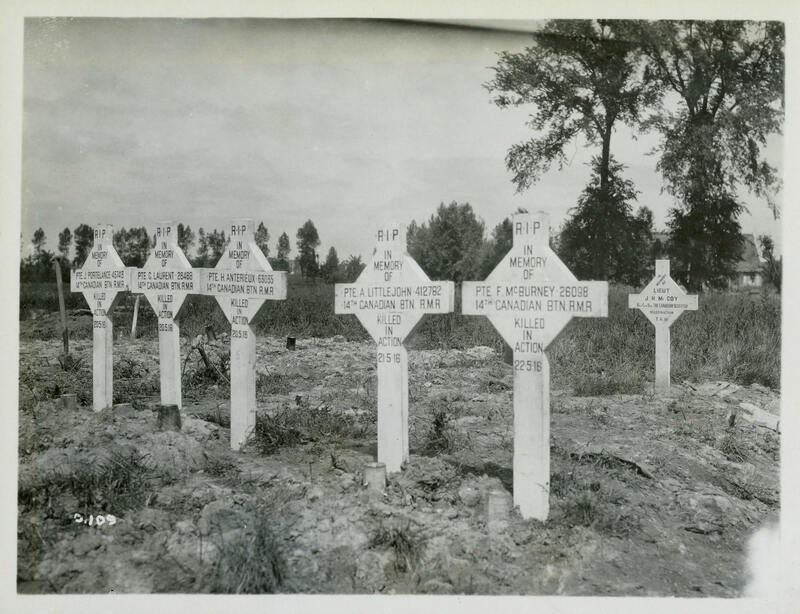 After the war, the bodies were reburied in large Commonwealth War Graves cemeteries across France and Belgium. The grave markers in the front row belonged to soldiers who were members of the 14th Battalion, killed in May 1916.